The Vastu philosophy is that every client should be able to visualise in detail their aspirational home before building work starts. Following Planning approval Rina works towards understanding the client’s unique style, aspirations and requirements, and ultimately getting them to visualise their finished home. She will aid in the tender process, and manage the build costs and construction. Finishes and ideas are discussed, designed and pre- selected well in advance thus stresses of making on-the-spot discussions are eliminated, with the aim to make the construction stage enjoyable and rewarding. Rina’s hands on approach, and industry knowledge makes her a key asset to the construction team. Working closely with the architects, project managers, quantity surveyors and specialist consultants and tradesmen, she is a respected member of the team always working towards and protecting the client’s vision of the completed home. Bella Bunce Interiors was established in 2016 with a desire to create unique and beautiful spaces. Bella takes a bespoke approach to each and every project and strives to deliver a balance between elegance, comfort, beauty and value. Keeping her studio small ensures she works with every client personally and oversees the network of talented craftsmen and woman she works with. Bella is based in the heart of London’s Marylebone village and offers Interior Design Services, Residential renovation and refurbishment, Home Styling and Interior Consultation. Bella has a commitment to create spaces that reflect her clients lifestyle and has gained a reputation for designing gorgeous and practical homes. SERVICES PROVIDED Bella offers a full range of services tailored to her clients specific requirements. These include - Interior Design Residential renovation and refurbishment Home Styling Interior Consultation Design Consultation and Turnkey service AREAS SERVICED Central and Greater London. Kent. Oxfordshire. Wales. Roselind Wilson Design is an award-winning, luxury interior architecture and interior design studio based in North West London. With combined industry experience that spans three decades, our team of dynamic and experienced designers and luxury experts bring a host of skills to the table, are passionate about their work and are focused to thoughtfully interpret and deliver a diverse scope of briefs across residential, corporate and hospitality projects. Our studio is a bustling creative hub where there is a sense of collaboration between the team, with openness for freedom of expression. This honesty and openness carries through to the relationships we form with our distinctive clients and lies at the core of what we do. We approach each brief individually by getting to know our clients, nurturing their personal style and embarking on the design journey together. We believe that a well-designed home can have a huge impact on the well-being of its owners. As humans, we crave a place of sanctuary, a degree of privacy, a connection with the outside world, and a sense of control over our personal space. We respect and integrate these aspirations into our interiors but also understand the importance of creative self-expression interpreted through the individual preferences and style of our clients, be that with injections of colour, pattern or texture. With a huge library of samples and finishes to browse, our studio acts as a sanctuary where clients can visit to discuss progress or ideas. Last and by no means least, our office dog Gus, a three-year-old Frenchie has his own dedicated corner, adding a calming yet fun element to our collaborative space. At Gunter & Co we design the interior architecture and decorative design of turnkey projects, whether you're refurbishing your existing home or moving in a new property. We love be creative with layout design and maximise every square inch of a home, down to selecting accessories which make a real difference in creating that layered feeling of curated luxury. To us high-end interior design is not only about creating a great design scheme, using the best materials, craftsmen or brands. We believe that our role is to work in a close relationship with you - and care for the project as much as you - from the first layout sketch to the delivery of the last cushion. Day-to-day we place as much importance on making sure we are making the building process enjoyable for you as we do running your project. WHAT WE BELIEVE IN We love to create interiors that work with your lifestyle and fit the property's heritage. You need to live in and enjoy the spaces we create so our job is to understand what makes you tick/motivates you. We will never design spaces that just look good, they have to work for you. That said, as your interior designer we will always have a very strong view on what's right and what's not based on our experience. We are passionate about what we do and want to share this with you. Our job is to exceed your imagination; using our creativity and experience to design an exceptional interior just for you. WHAT WE DESIGN A luxury interior is as much about touch, sound and smell as it is about visual beauty - we believe it should be an all-round sensory experience. We're inspired by natural materials like stone, wood and leather for their look, their feel and their capacity to be crafted into inspiring designs. We're inspired by craftsmen and artisans who are as dedicated as us to create luxury and individuality in every object. Anouska Tamony’s studio is an award winning London based boutique design studio, known for its playful and adaptable style. Specialising in high calibre residential interior design and architecture. the studio's philosophy is to provide an outstanding level of service with distinctive results that express thought, originality and personality. 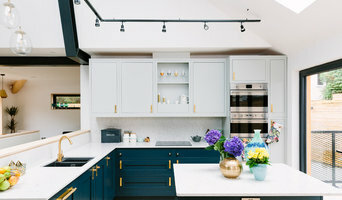 Whether working on a single space refurbishment or a full scale renovation clients can expect a completely bespoke service led by Creative Director and Founder Anouska. The House & Garden directory listed studio listens intently to interpret each client’s unique vision, with a diverse portfolio of projects speaking the language of each owner fluently. So whether it's an elegant townhouse, an contemporary loft, or a relaxed country retreat the studio will bring fresh energy and passion to each project stimulated by a desire to create something truly unique for their clients. 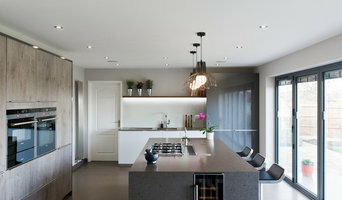 London's affordable and accessible interior design studio and winner of Best of Houzz for 5 years. I founded Honey Bee Interiors with the aim of making interior design accessible and affordable for everyone. As an experienced interior designer and stylist, I enjoy working on smaller projects including e-decoration worldwide as well as more involved design projects where I help to design, decorate, source and refurbish residential and commercial properties. I am also happy to provide advice and interior design schemes on a room by room basis. My style is bold, fun and colourful, mixing vintage influences with contemporary style. Most of all, I think it’s important for spaces to have real character and to reflect your individuality. My past projects have been featured in Beautiful Homes, Ideal Homes and Living Etc. My clients often comment that I’ve created a home that feels exactly in keeping with their style - but just a little bit braver than they would have dared to choose on their own! From our initial consultation, I’ll gather a good understanding of what you’d like to achieve with your space. We’ll work closely together, as I always present you with different options for each aspect of the design. This means you’ll be left with a space that you both love and feel connected to. I also own The Vintage Chandelier Company, where I discover and sell antique and vintage chandeliers that have been lovingly restored to make unique one off pieces for contemporary homes. You can take a look at www.vintagechandeliers.co.uk! 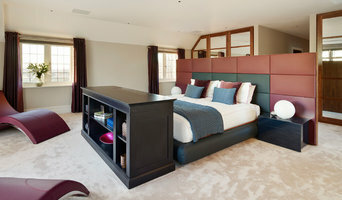 dk INTERIORS are a London-based interior design company creating glamorous, elegant and effortlessly stylish interiors. Specialising in whole home refurbishment projects, we offer a bespoke service tailored to meet the individual client's brief. Understanding and interpreting a client's vision is of utmost importance, resulting in projects that reflect a client's personality and lifestyle. We take a friendly and efficient approach to interior design while paying great attention to detail and exacting standards from inception through to delivery. Debra's former experience in fashion and management, as well as over 12 years as an Interior Designer, means she runs an efficient, creative and inspiring design practice. Contact us today to discuss your project ideas.